Trusts, Industrial > United States, Tariff > United States, United States. 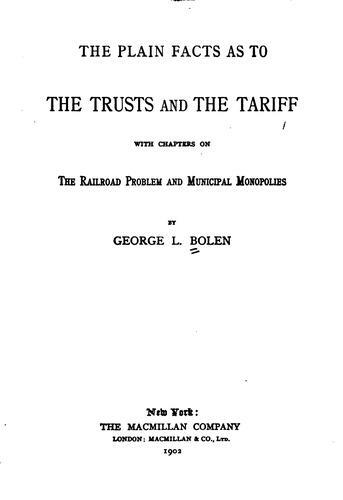 We found some servers for you, where you can download the e-book "The plain facts as to the trusts and the tariff" by George Lewis Bolen TXT for free. The Free Books Online team wishes you a fascinating reading!